Who wouldn’t want to eat purple soup? What do you think of when you see purple carrots? Perhaps the possibility of roasted vegetables, or maybe the notion of purple carrots is new to you. I however, immediately thought of soup. 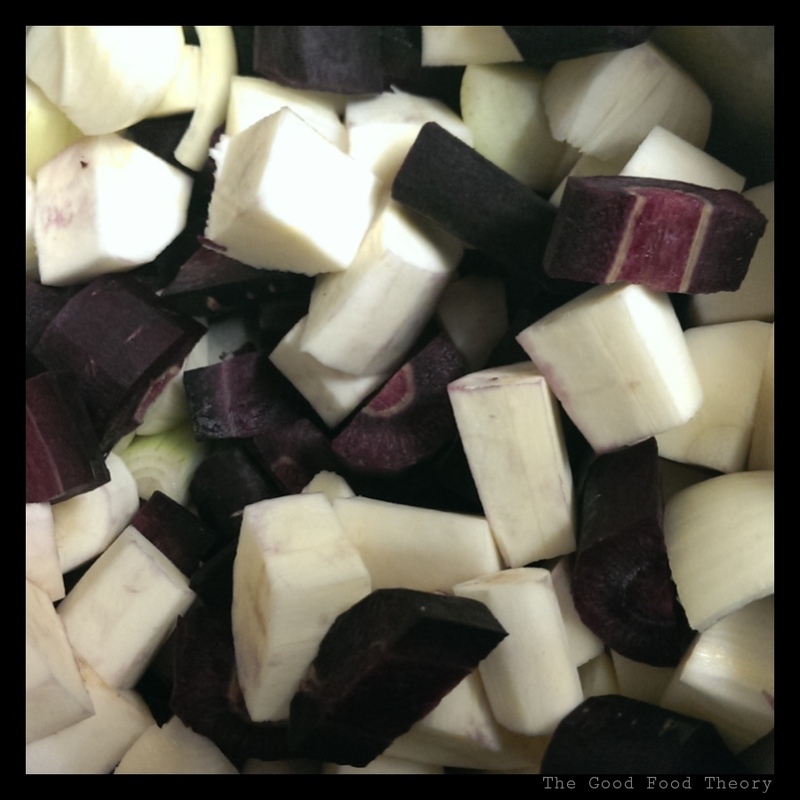 “Let’s make some awesome, bright purple soup! 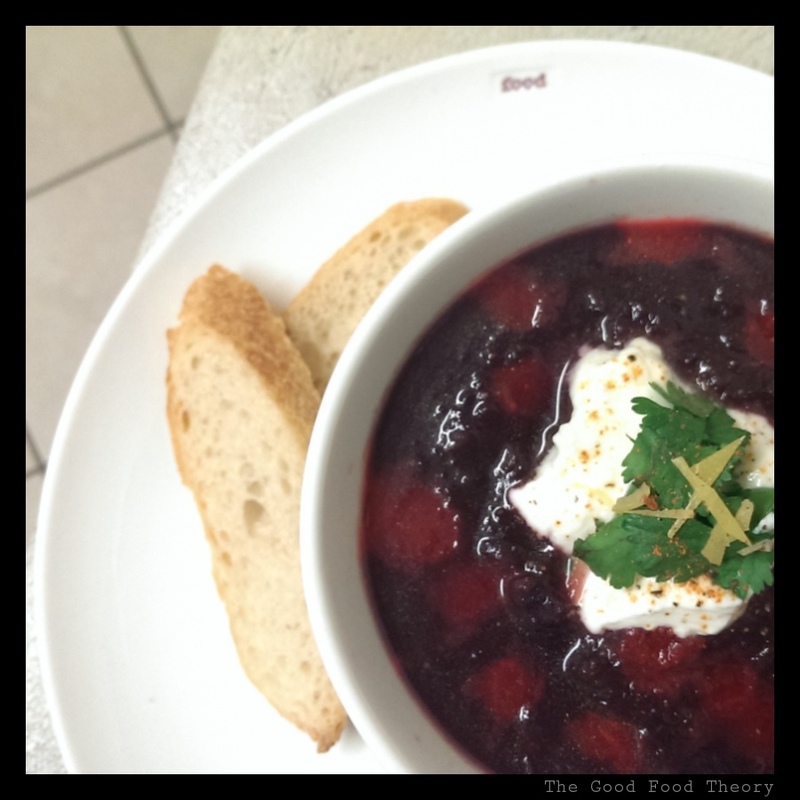 Who wouldn’t want to eat bright purple soup?”. I was aware that most people probably wouldn’t want to but this fact was easily dismissed by my own eagerness. As you can see, it all started out well. It all went downhill, quickly. I had forgotten the valuable lessons learned in early childhood about colour combination. Red and yellow = orange, yellow and blue = green and so forth. Remember though when you would then add a wrong colour and suddenly you had brown. You would keep adding colours and then it would just become a worse shade of brown. I managed to reproduce this phenomenon as an adult. Enter, tumeric*. The tumeric that is not only known for flavour but as a spice which adds a vibrant yellow colour to dishes. Think back now, what does purple and yellow equal? Oh that’s right, brown! A big pot of brown lumpy soup. Delicious. All hope was not lost. “Let’s add some milk”, I thought. We then had a greyish, purple brown pot of gurgling soup. Gurgling and bubbling soup. It resembled what you would imagine the cauldron of a witch in a fairytale would have bubbling away in the darkness of her kitchen. At this moment, I pissed myself laughing. I don’t know how else to describe it but by using that rather crude terminology. It was the worst thing I had probably ever cooked. Every time I looked at it, I cracked up laughing some more. I entered a fit of a laughter that lasted a good few minutes and resulted in tears rolling down my face and my stomach aching. I should make dodgy food more often! Yet I still did not lose hope, as looks aside it actually tasted rather nice. A bit of a blitz to release some of the fabulous purple colour still hiding in the carrots. I also next unintentionally rediscovered another science lesson that had been covered at some point in high school. What an awesome surprise it was when upon adding the lemon juice, a vibrant red was exposed wherever the juice fell. What was the cause of this you may be thinking? Anthocyanin. Anthocyanin are pigments found in many predominantly red/purple fruits and vegetables such as raspberries and red cabbage. When an acidic solution such as lemon juice is added, it turns a pink/red. My soup was a pH indicator. Things were indeed picking up. I added some yoghurt, preserved lemon and herbs for contrast. I also couldn’t resist putting some retro red dots to the top of my soup by adding a little bit more lemon juice prior to serving. It turned out to be quite the little science experiment! All of which was eaten.